It has be a week or so since i have done a post. I have manage to ski 4 resorts over the week and a bit. I started up at Beaver Creek where skiing the first bumps of the trip which was a nice change from skiing all the groomers in California. 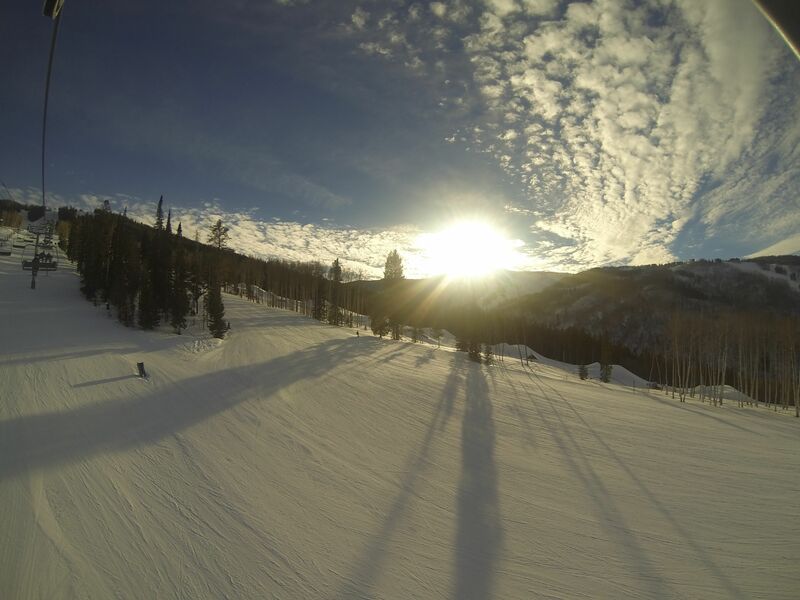 Beaver Creek as a resort has a great mix of terrain for all levels and even a park. Beaver Creek is definitely a place that would keep the entire family happy on their holiday. Got lucky enough to go ski with TBR Head Grom coach Josh Laney on his day off, as he spends his northern winters instructing at Beaver Creek. He took me on the guided tour of the entire resort. One of my favourite runs was definitely the World Cup Downhill course ‘Birds of Prey’. On my last day headed straight there and in 4hrs racked up 10 runs and 30,000ft of vertical. Spent one day over at Vail exploring what is a massive resort, 2nd in North America behind Whistler Blackcomb for skiable area. Of course only spending one day there I assume I missed out on seeing a lot of the terrain. Highlight of my day was skiing 5 laps of the Superpipe. Skiing halfpipe is something i have always really enjoyed, since I first learnt back in Silver Star on AWSC. After a week of skiing mostly on my own it was nice to change it up, I headed down the road to Breckenridge to catch up and stay for the last few days of the Skiers Junction freeskiing camp run by Nick FJ. (I will be doing a full report on the camp in the coming couple weeks). Breckenridge is a great place to ski, especially if you enjoy the park and/or pipe, it is one of the best in world. One morning decide it was time to go a check out Keystone. Really enjoyed skiing at Keystone, great long runs mostly situated in the tress so very protected from the weather. Keystone all so has an amazing park too, making it the perfect spot to run a freeskiing camp. Don’t be mistaken that Breck & Keystone are all about Park, there is plenty of great skiing to be found outside the Park. Now down in Denver for SIA, so stay tuned to see next update with all the new skis we will have this season. This article offers the gentle in which we can notice the reality. this is very wonderful 1 and presents in depth data.